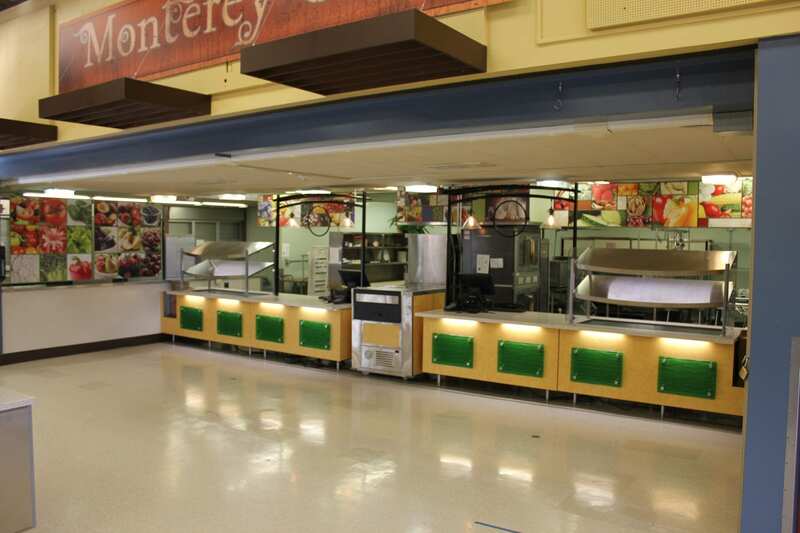 Monterey High School recently renovated their cafeteria to serve more students more efficiently. 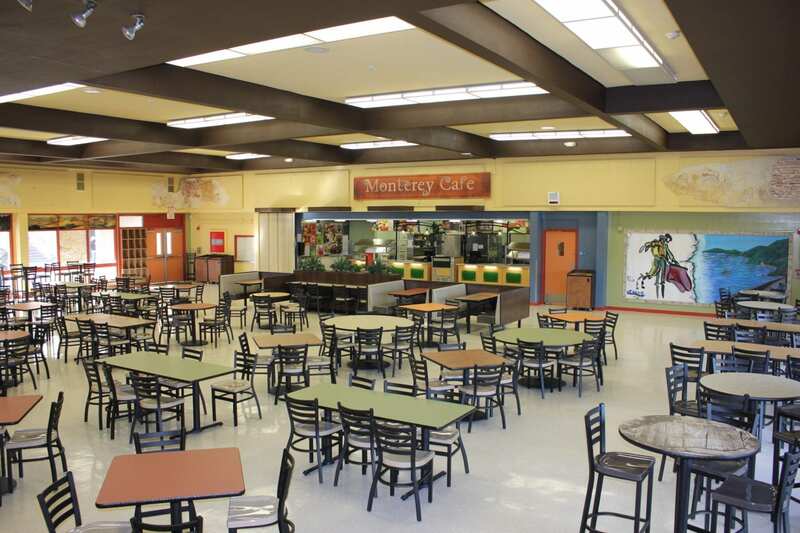 They also branded the cafeteria as Monterey Café to create a cooler place for students to hang out in. Monterey High School is surrounded by beautiful mountain landscape with views of the bay from the cafeteria windows. 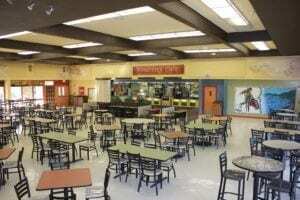 However, the inside the cafeteria wasn’t as picturesque. 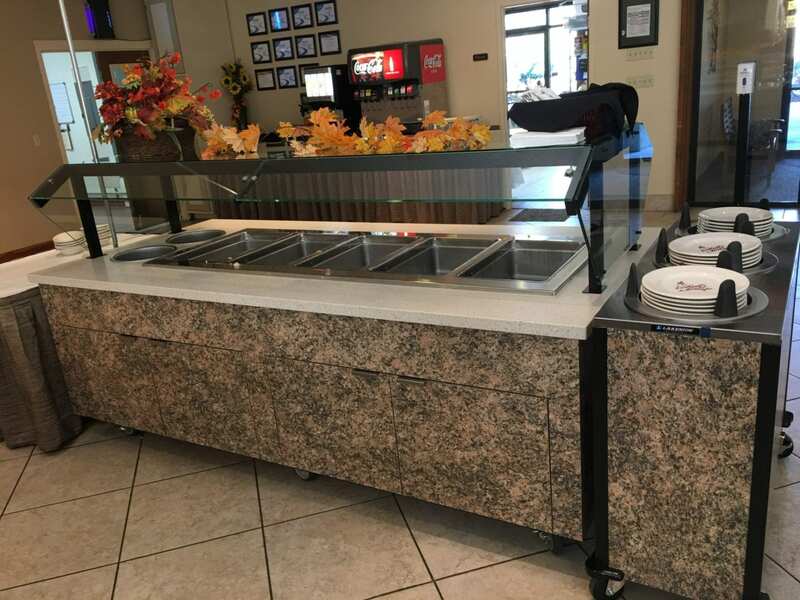 Dated décor and piecemeal serving equipment were stale and uninviting. Even worse, lunch times were decreasing and students were increasing. The school needed a multi-functional and efficient space that reflected the unique area. 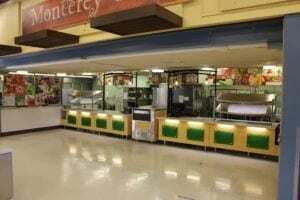 Multiteria and Palmer Hamilton worked closely with Monterey High School to turn the space around. They interviewed the foodservice director, staff, principal and even a few students to figure out everyone’s wants and needs for the new cafeteria before coming up with a plan. 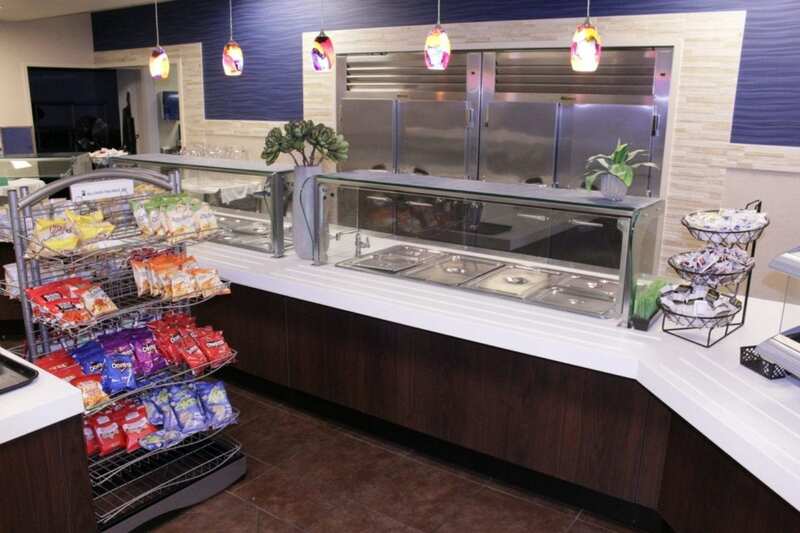 The shorter lunch period called for a quick serve solution to get students fresh and hot food as fast as possible. 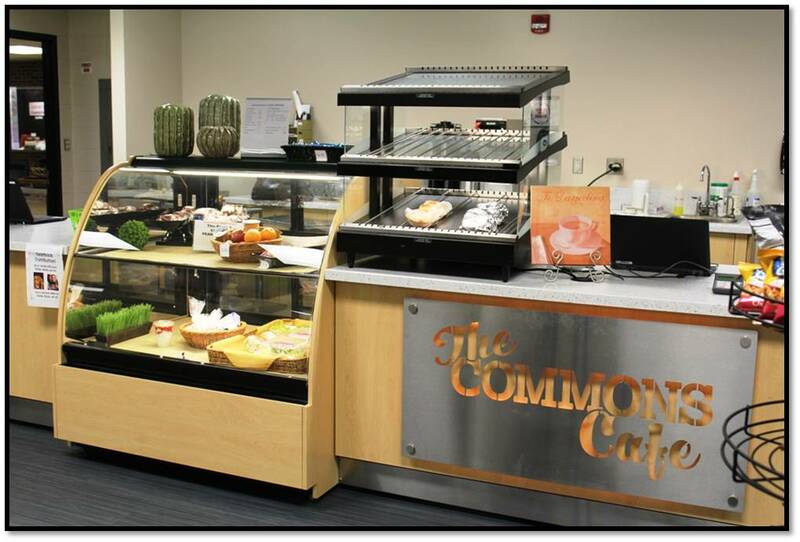 Tiered heated shelves to display packaged foods with easily accessible trays and open counter space was the perfect solution. LED lamps, a European style display case, canopies with menu boards and pendant lights added a cool vibe and better merchandised the food. Branding the space as Monterey Café transformed it from a cafeteria to a whole new experience. The surrounding area and architecture inspired the design from the wall color to the tabletop graphics. 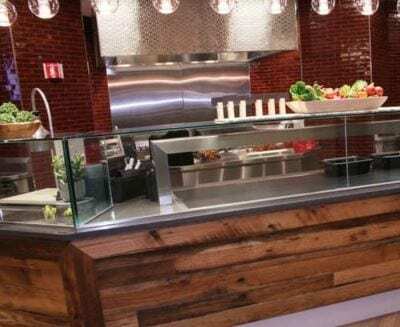 The fresh look also reflected the fresh and healthy menu. Finally, they were able to create a multi-purpose space through a variety of tables and booths. Whether students wanted to hang out in groups or study alone, they had a homey, comfortable and cool space to use.